Connect your USB-C laptop like a MacBook or MacBook Pro to an HDMI monitor or TV. 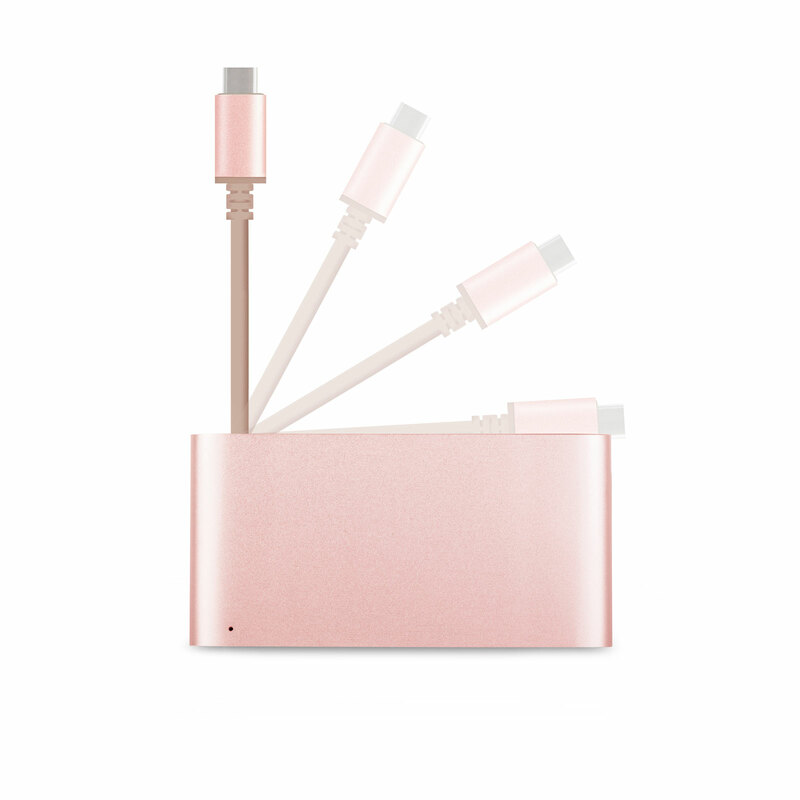 Includes a USB-A port for peripherals and pass-through USB-C charging port. 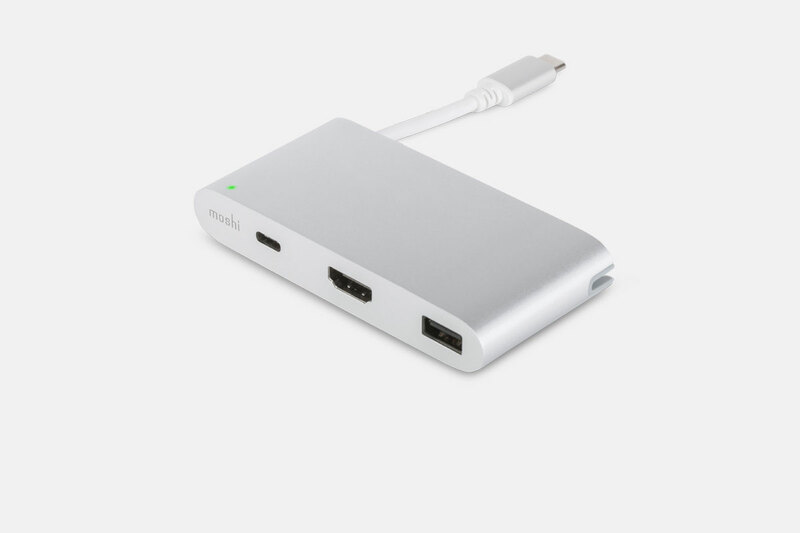 Connect an external HDMI monitor, USB peripherals and charge your laptop all at the same time. Simply connect the adapter to any HDMI-enabled monitor or TV. 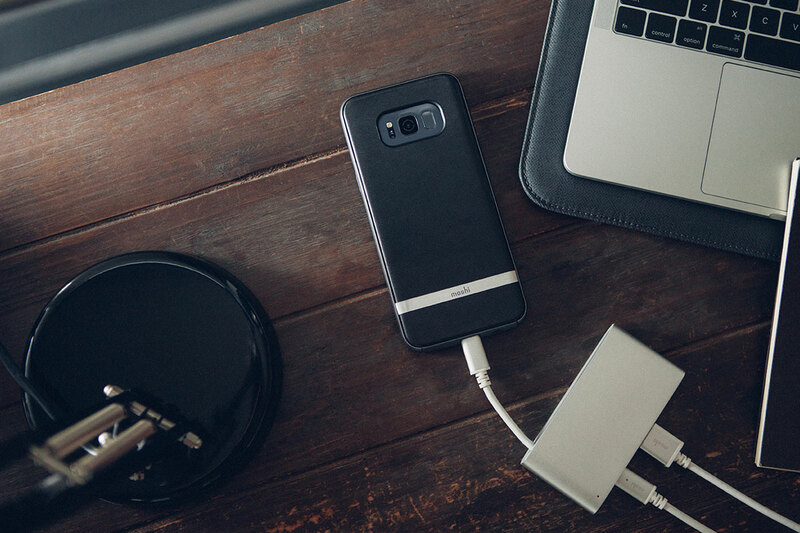 Charge your smartphone or connect other legacy devices such as an external USB hard drive or hub. 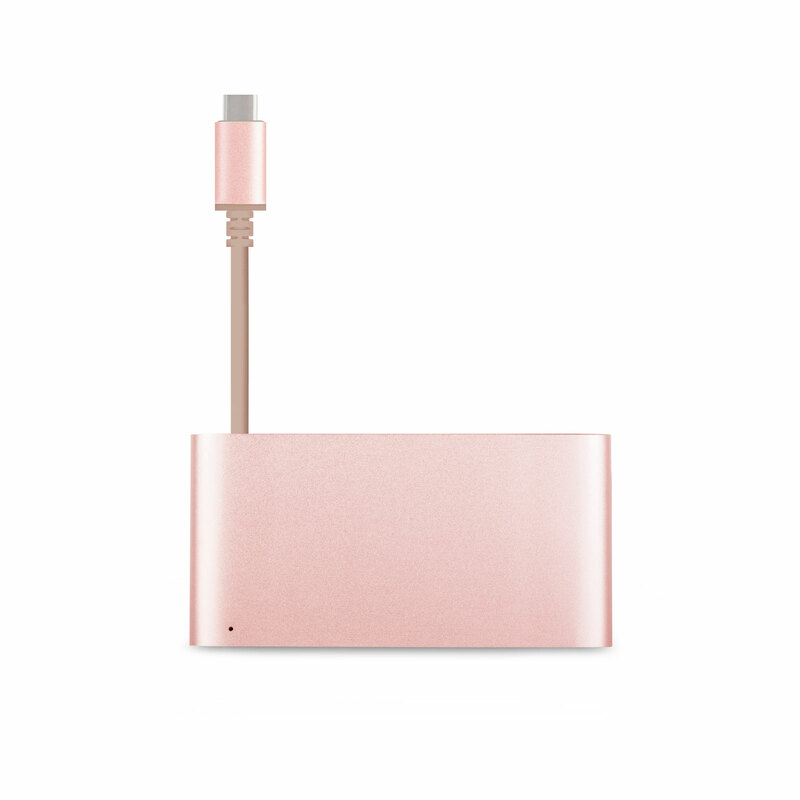 The adapter also supports fast-charging of your laptop thanks to pass-through power on the female USB-C port. 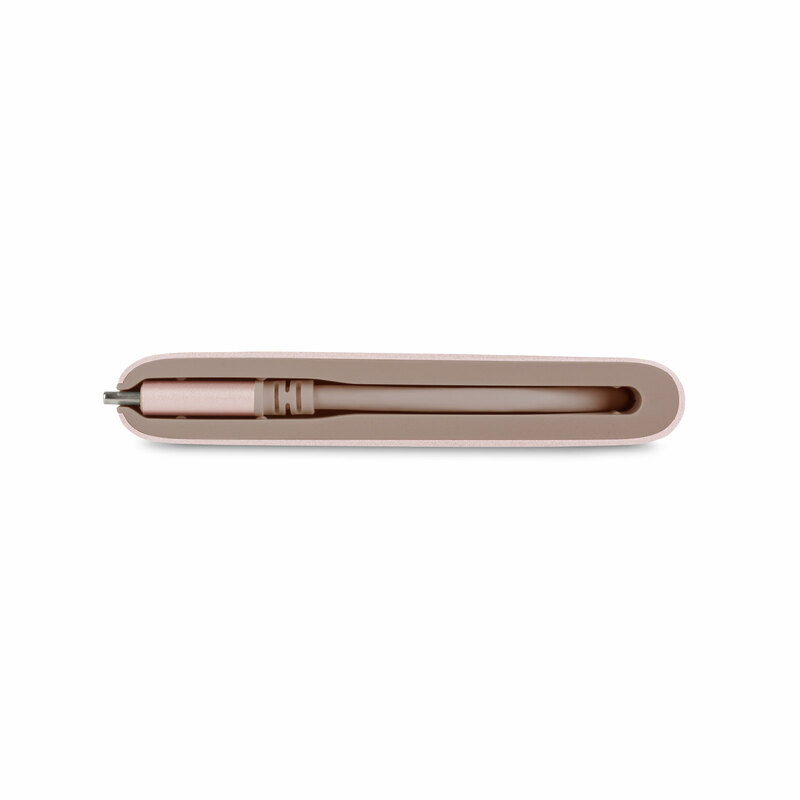 An integrated Smart LED indicator lets you know when your computer is charged up, even when it's closed. 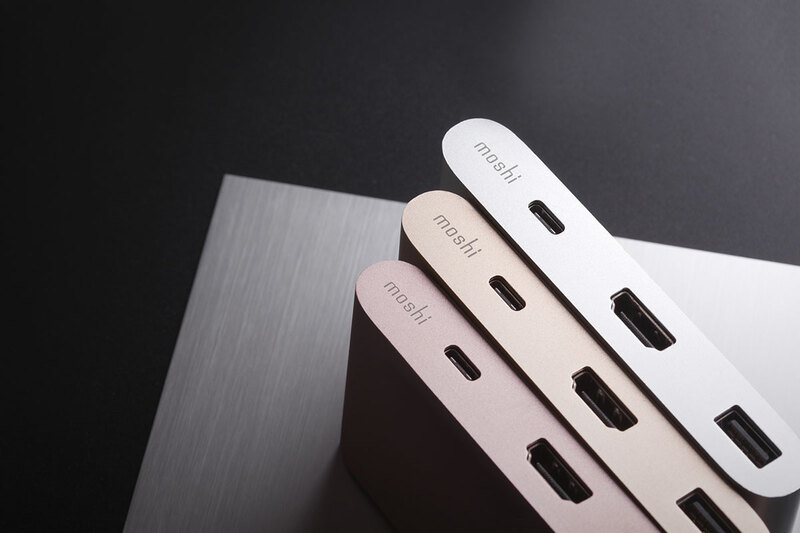 Moshi’s USB-C Multiport Adapter is encased in premium aluminum. 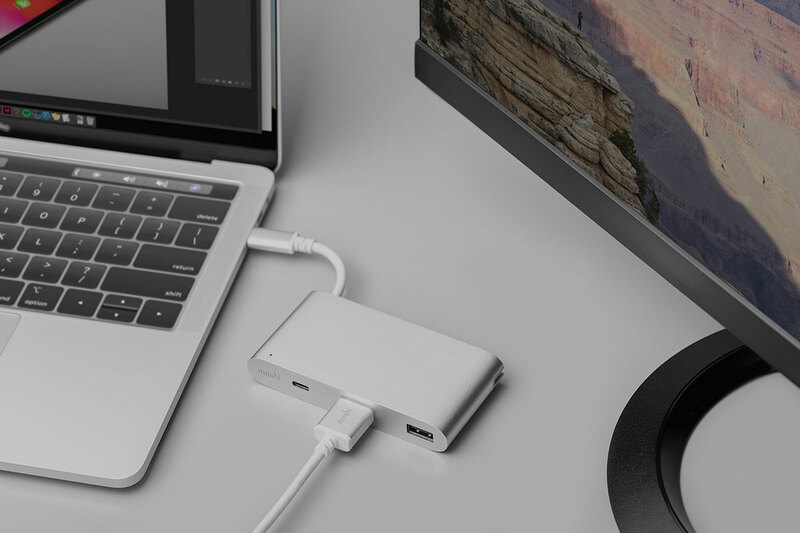 Moshi's USB-C Multiport Adapter is a 3-in-1 hub that lets you connect additional peripherals to your USB-C or Thunderbolt 3 laptop. 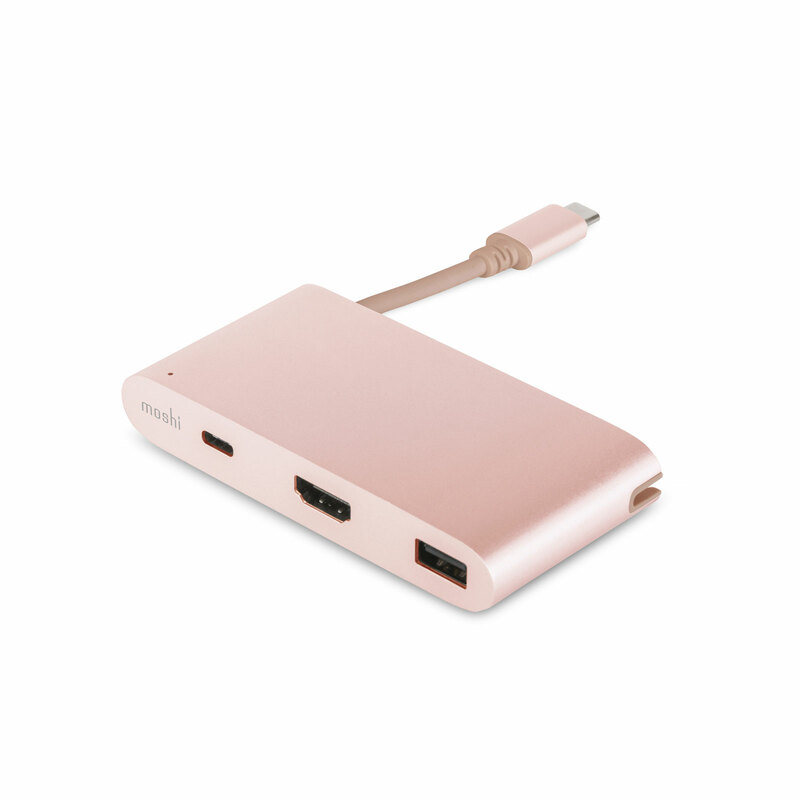 Utilizing the latest USB-C chips, this multi-function adapter supports crystal clear 1080p and 4K video output to any HDMI-enabled monitor or TV. 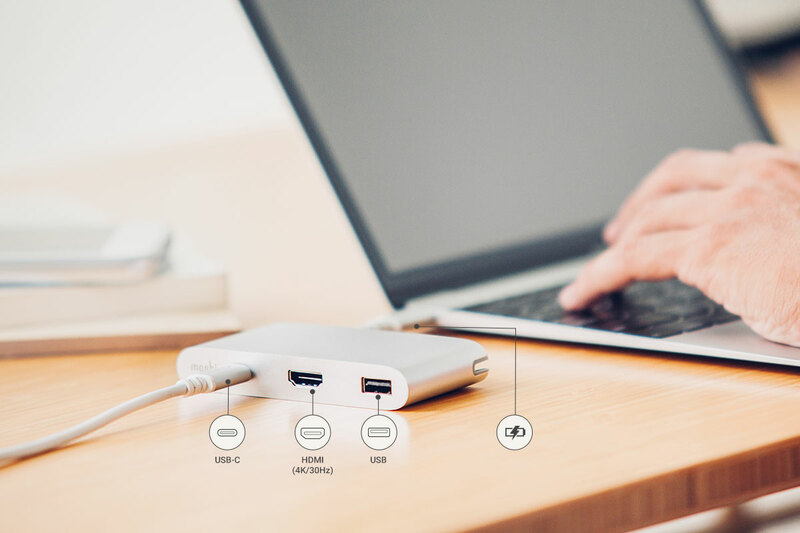 A standard USB port is included to charge/sync your smartphone or connect other legacy devices such as an external USB hard drive or hub. 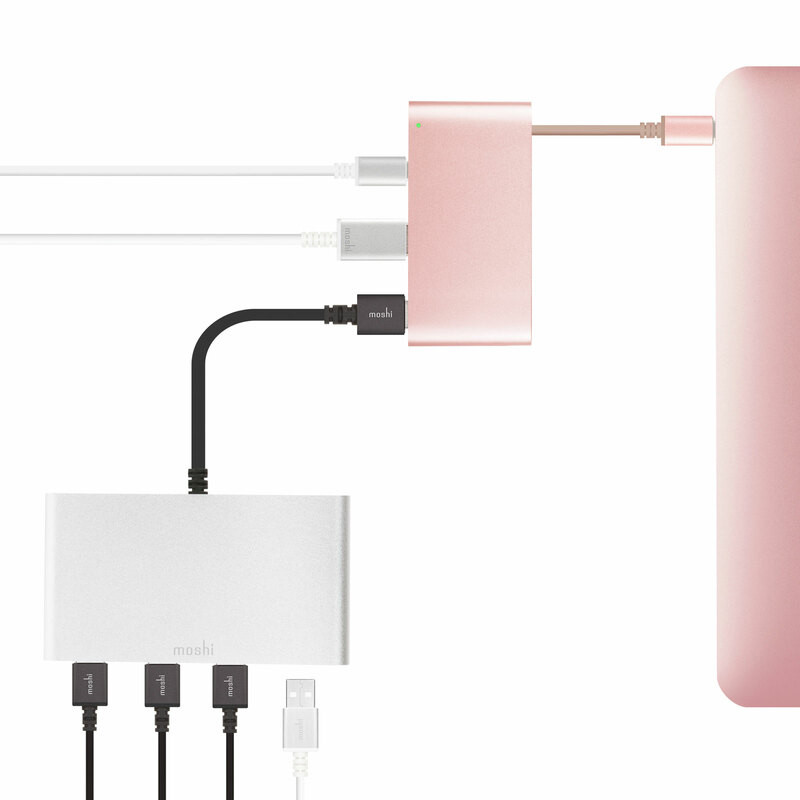 The adapter also supports fast charging of your laptop thanks to pass-through power on the female USB-C port. An integrated Smart LED indicator lets you know when your computer is charged up, even when it's closed. 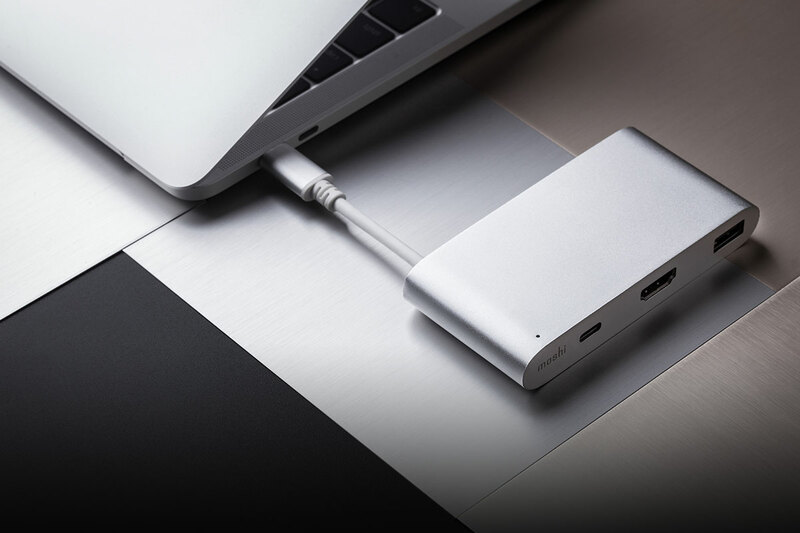 Encased in aluminum and packed with advanced features, Moshi's USB-C Multiport Adapter is the quintessential companion for any USB-C laptop. *Apple SuperDrive is not compatible with USB-C Multiport Adapter. Connect any USB-C or Thunderbolt 3 laptop to an external monitor or TV. HDMI output at 1080p (60 Hz) and 4K (30 Hz) resolutions. HDCP-compatible. Data transfer: supports USB 3.1 (Gen 1) at rates up to 5 Gbps. Power: supports fast laptop charging up to 60 W (20 V/3 A). Supports multi-channel digital audio output on compatible devices. Unibody aluminum enclosure with reinforced stress relief for added durability. 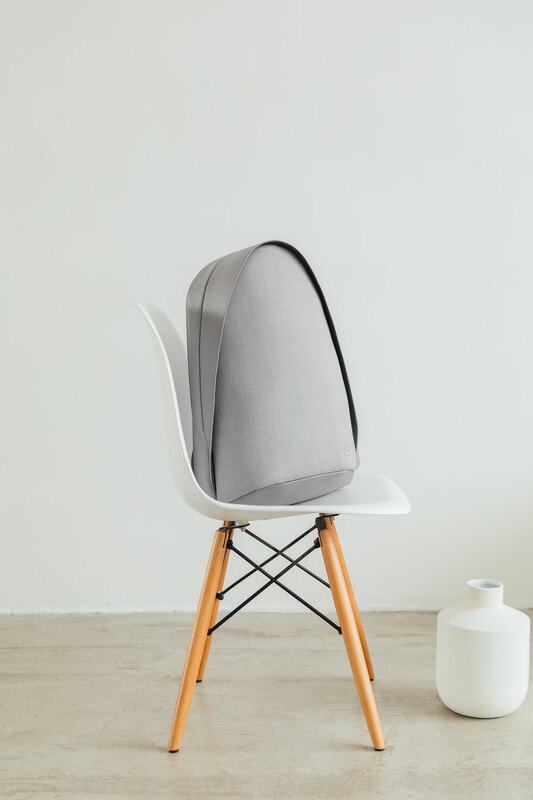 Folding cable design for sleek portability.